One goes ten rounds before being TKO'd, the other puts the claws back on Santa. Mark Wahlberg stars as "Irish" Micky Ward in The Fighter. Directed by David O. Russell. With Mark Wahlberg and Christian Bale. Opens Friday. Directed by Jalmari Helander. With Onni Tommila and Jorma Tommila. Opens Friday. Two half-brothers who annoy the hell out of each other. The elder bro is a washed-up, drug-addicted prize fighter. The younger is up-and-coming, a washed-up prize fighter of the future. Their loud-mouthed, domineering mother. Working-class Massachusetts atmosphere. Always trying to make the big-time. The younger fighter's equally feisty girlfriend who believes in him. Did we forget anything? Feel free to add a cliché we may have overlooked. There are 114 minutes to fill in The Fighter. Director David O. Russell (Three Kings, I Heart Huckabees) and four writers are undaunted by the challenge of trying to come up with something new in the boxing ring. Why should they worry? Prize-fighter stories have the same built-in advantage as most other sports movies. Once the competition gets going and the adrenaline kicks in, it doesn't matter too much how hackneyed the details are — the only thing we end up caring about is whether the hero is going to win the big fight, the big race, etc. So in that sense, Rocky, The Wrestler, Fat City, Cinderella Man, Requiem for a Heavyweight, and even a Mike Tyson documentary are all more or less the same. We want to see our guy go all the way. But naturally not everyone has the right stuff, which is where nuances like drama and heartbreak come in. Welcome to Palookaville, pop. 19. "Irish" Micky Ward, the pride of Lowell, Massachusetts, works for the city as a street sweeper but harbors fistic ambitions, circa 1993. 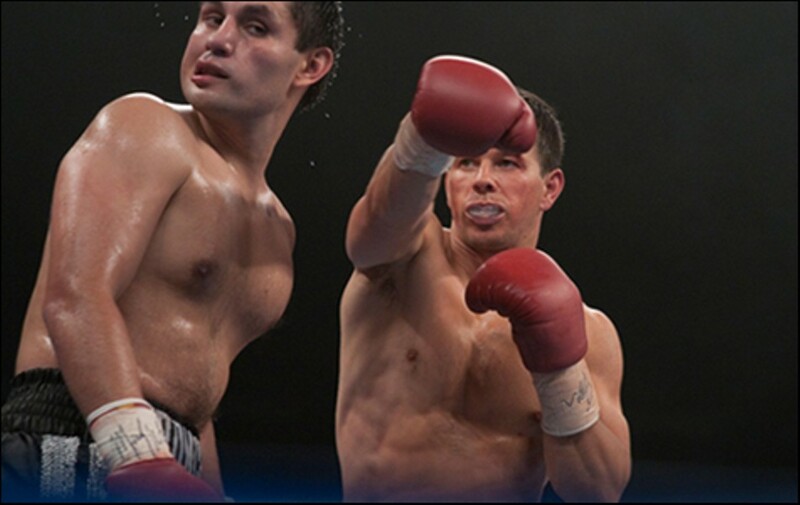 Micky (played by Mark Wahlberg) takes fight jobs where he can get them with the "help" of his unreliable trainer and corner man, older half-brother Dickie Eklund (Christian Bale), the former pride of Lowell and now the habitué of a crack house. Undeterred, Micky makes cold cuts out of a guy in Atlantic City and the big boys offer him an opportunity to fight, train, and live in Las Vegas. But he can't do dat. It would mean leaving behind his manager/mom, Alice Ward (Melissa Leo, character-acting champ of the lower-middle-class division), his entire family, and, well, the dirty old town itself. So he plods along at his own pace and we get to witness Micky and Dickie's struggles against all odds on the way to the Mick's big fight against another spud hooligan, Liverpool's Shea Neary, for the WBU Light Welterweight championship in London. 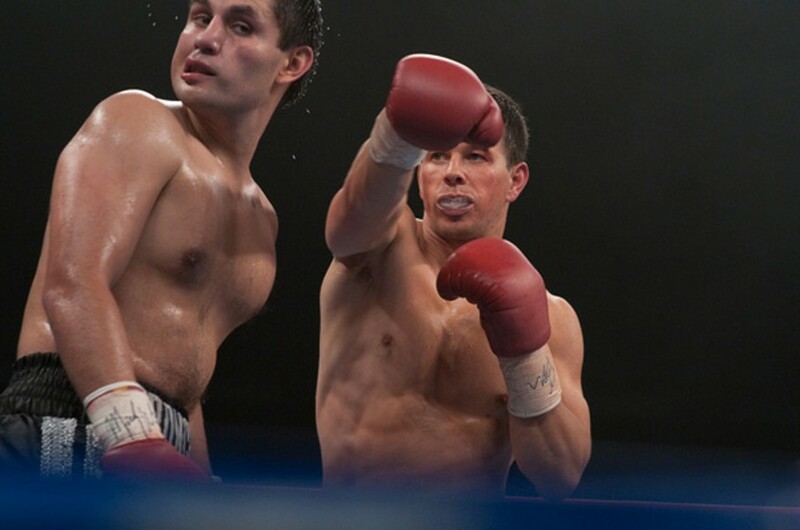 With physical actors like Wahlberg and Bale plus the hard-scrabble authenticity of Leo, The Fighter would seem to have everything going for it. And it is a better-than-average boxing pic, although hampered by a trite screenplay and frantic overacting by virtually the entire cast. Wahlberg, a professional Bostonian onscreen (Matt Damon was reportedly also considered for the role), handles himself well in the clinches. The fight sequences are the best thing about the movie. Bale, of course, is notorious for dropping weight in such films as Rescue Dawn and The Machinist, so hanging with the aces of base (they're portrayed as Cambodian) and jumping out of a second-story window onto a pile of garbage is nothing for him. But once again it's clear that Bale is only as good as his script. Leo overextends herself a bit as the pit bull matriarch, especially in tableau with Micky and Dickie's seven (count 'em) frightful sisters, each uglier than the last, bubbling toil and trouble in their Lowell living room. Then there's Amy Adams as Micky's tough girlfriend, Charlene, who sticks by him no matter what. We've never seen her so pugnacious. This movie is a brawl from beginning to end. All four principals — Wahlberg, Bale, Adams, and Leo — are well-cast and up to the challenge, but the knuckle-sandwich dialogue by Scott Silver, Paul Tamasy, and Eric Johnson, from a story by Tamasy, Johnson, and Keith Dorrington, kayos the actors at every turn. Russell, cast, and crew supply local color till it's coming out our ears, but Micky's story is no threat to, say, Million Dollar Baby, let alone Raging Bull. When we finally get to the end credits and glimpse the real-life Micky and Dickie, we can't help wondering why no one made this as a documentary instead. The real guys, weather-beaten as they are, look more interesting than Wahlberg and Bale. But then we discover that Dickie Eklund was indeed the subject of the HBO doc we see them filming within the film. It's called High on Crack Street, from 1995, and it evidently includes footage from one of Micky's fights. Seen from that angle, the title The Fighter could just as accurately refer to Dickie as well. The twin addictions of dope and fame had it in for both brothers. How's this for an "It's a Small World After All" Christmas story: A pre-teen boy in a remote settlement in Northern Finland happens onto an excavation that has uncovered a mysterious mythical figure. It's not Santa Claus but the Krampus — a hellish red-devil figure with a long tongue, cloven hoofs, and goat horns, whose task each year is to help St. Nicholas punish the naughty children by boiling them in cauldrons or stuffing them into baskets for the trip down to Hell. First the boy must save himself from the Krampus, then convince his father of the danger. We can almost hear the alarm bells going off inside the heads of 21st-century American parents at such a non-PC prospect. Nevertheless the above is exactly what happens in Rare Exports: A Christmas Tale by Finnish filmmaker Jalmari Helander, perhaps the most original holiday film in decades. It's not rated, but little kids are advised to give it a wide berth. For nightmare value it's in a class by itself. Not that resourceful young Pietari (Onni Tommila) and his raw-boned hunter father Rauno (Jorma Tommila) are pushovers for demons and elves. Equipped with shotguns and snowmobiles, the locals tackle the problem directly with a helping of grim Finnish humor. It's a reminder that elsewhere, beyond the pre-packaged, sanitized shopping-mall experience, dwell pagan beings, wild beasts, straw boys, wolf pits, and brave children unglued to electronic screens.